MatadorU graduate Megan Wood considers stretching the freelancer budget by moving to one the 10 least expensive international cities for expats. I’m writing on the Lower East Side in Manhattan. I share a two-bedroom walk-up apartment with windows that won’t close tight and a light switch I have to secure down with tape to turn off. My rent is shockingly high. Worse, when I leave my overpriced apartment, I am tempted to visit all of the trendy, expensive bars and shops in the neighborhood. Last year I was living rent free in rural Paraguay, essentially in a tree fort that I lovingly referred to as the “crap shack.” I had no potable water, toilet, sink, or heat. Cows roamed through my yard and rain leaked through the straw roof. If I felt like walking two hours to the nearest town, I could choose to patronize the whorehouse bar or one grocery store that occasionally stocked Pringles. Xpatulator is a website that publishes a list of 300 international cities and ranks them quarterly by cost of living. Next year, I need to get smart. I should move to one of the ten cheapest international cities in the world, somewhere I can afford a decent apartment and lifestyle at an even better price. Xpatulator is a website that publishes a list of 300 international cities and ranks them quarterly by cost of living. Thirteen different categories are compared, including the cost of food, housing, recreation, education, and medical care. Hardship level measures how ‘difficult’ it is for an expat to live somewhere. Here are the 10 cheapest international cities in the world, according to Xpatulator’s first quarterly report in 2011. Dushanbe means “Monday” in Tajik, named after a popular Monday marketplace. The capital city has good access to mountain climbing and mountain biking opportunities in the Pamir Mountains. Mild winters might help ease the 40% hardship index. Groceries and housing are extra affordable, but the city’s nightlife is not up to Western standards and more expensive than other cities on the list. English is widely spoken in Kampala, but there are opportunities to learn Swahili, which is the official language. 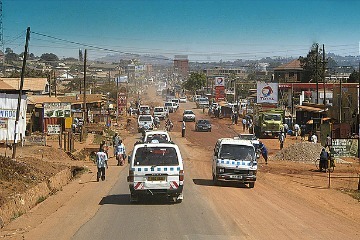 Kampala is home to many NGOs, and therefore has a well-established expat scene. Kampala is a convenient base for activities like rafting the Nile River, going on safari and visiting chimpanzee sanctuaries. Olive oil, carpets, and the Mediterranean – must be North Africa. Tunis doesn’t have much in the way of beaches, but it makes a great jump-off point for Carthage. There seems to be less hassle of foreigners here than in Morocco, but remember that anyone acting too friendly may want something from you. Ladies, don’t go to bars without a male, you may be mistaken for a prostitute. Matador Trips editor Hal Amen writes of La Paz: higher elevation = less money. 3,660 meters above sea level and the lowest GDP in South America – Bolivia has an overall low cost of living index. Bolivia is the place to experience one of the world’s most dangerous roads, the altiplano, and the Southern Circuit. Read Hal’s 7 Facts of Expat Life in Bolivia for more information. Southeast Asia has several factors that make it a draw for expats: warm water, delicious food, friendly locals, and low cost of living. Well, at least it’s still cheap to live in Phnom Penh even if neighboring countries’ capitals are a bit pricier. Monsoons and corruption are both drawbacks, but transportation is ultra affordable, and so is healthcare. 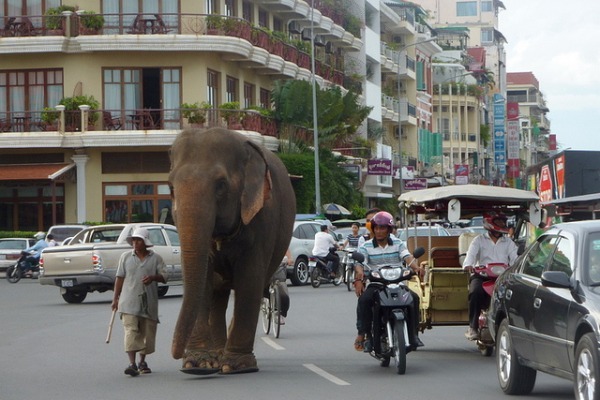 One American expat lives in Phnom Penh on two dollars a day. Living on an island tends to be expensive, but Sri Lanka is an exception. Housing is ultra affordable and there is an established community of expats. Alcohol is cheap, but if drinking makes you affectionate, be careful, public displays of hugging and kissing are culturally unacceptable. 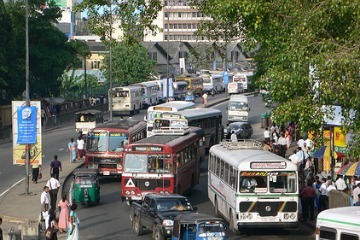 If you’re thinking of visiting or moving to Colombo, check out Matadorian Dominic DeGrazier’s 9 Reasons Other Than Cheap Booze to Visit Sri Lanka. I find it interesting that a country whose leadership has declared it is more concerned with Gross National Happiness than its Gross National Product would appear on this list; Thimpu has some of the of the cheapest housing and recreation options for expats. To control tourism and protect the environment, Thimphu charges tourists a fee of $200 a day to enjoy Bhutan. Word is, that has been reduced to a government tax of $100 a day. But as an expat you wouldn’t be required to abide by tourist rules. Adventure tours are starting to pop up which include mountain biking, rafting, hot springs, and trekking. Just thinking about moving to Thimpu makes me happy. Although Tripoli is rated with an extreme hardship level of 40%, it’s ranked at number three for having low prices on entertainment, housing, and recreation. This seaport is the largest city in Libya and still largely unaffected by mass-tourism. Here, you can learn Arabic, swim in the Mediterranean, and climb the still-standing city walls for the best views. Most jobs for expats in Tripoli are in the oil and gas industry. Nuku’Alofa has the cheapest hotels and restaurants on the list, but it’s another 40% hardship location. Now I’m going to throw out some persuasive verbs: snorkeling, surfing, dancing. And now some nouns: rainforest, coral, markets. Nuku’Alofa is small enough to walk around. English is widely spoken. 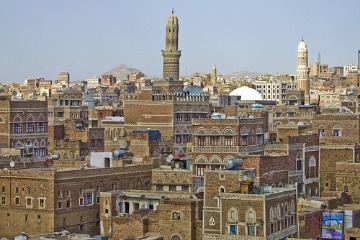 The cheapest place to live on Xpatluator’s list is Sana’a. This Yemeni city has the cheapest food, cheapest housing, cheapest furniture, and cheapest medical care of all the 282 cities ranked. UNESCO has named the whole place a World Heritage Site. Sana’a is also one of the best places in the world to learn Arabic. For more on living in Sana’a, read Matadorian Baxter Jackson’s Dreaming in Arabic, Learning in Yemen. I’m thinking about finding a subletter and moving to Tonga. What about you? Have you lived in any of these cities? Would you consider moving to any of them to cut down on your cost of living? Where In Africa Should I Study Abroad?